that's like crossing two states! The distance is a crawl, and a sapping one at that. Daily commuters from Noida to Gurgaon will relate to the grief I go through during such occasion arises. But, thank heavens for FM radio, which makes the journey a wee bit pleasant. The moment I got into the car Lata Mangeshkar's Aeri pawan dhunde kise tera mann transformed me into a reverie. It's such a beautiful song. After enjoying the rendition, I quickly googled the song, traced the film and after reading the gist was piqued to watch it. All I can say is that I did not live to regret the decision. 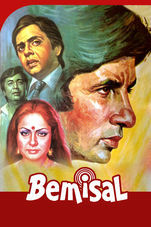 Hrishikesh Mukherjee's Bemisal (1982) is an engaging drama of human relations bordering on greed and benevolence. But what I loved most was the character sketched for Amitabh Bachchan. While from afar he appears an affable, happy-go-lucky doctor, his personality is far more intriguing and charismatic than the others in the film. And it is laced with a deep sense of magnanimity influenced by the benevolence he was gifted with when times were far from favourable. His regard for those who helped him out never diminishes and his sense of duty is unparalleled. The crests and troughs of his journey is worth graphing. Dr Sudhir Roy's actions make the film so believable. 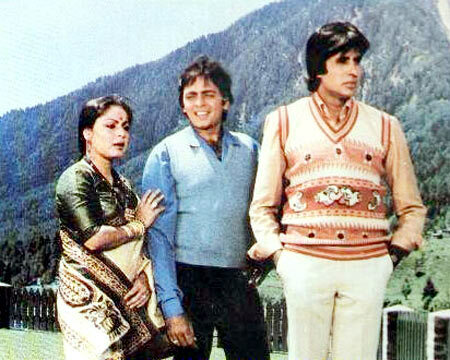 Despite the tardy subplot of Ruby Dutt. Dr Sudhir Roy, a child specialist, and Dr Prashant Chaturvedi (Vinod Mehra), a gynecologist, have been brought up by an advocate. Sudhir never ignores the fact that the rich advocate saved him from a deplorable life by adopting him and giving him a steady upbringing and education. For that he remains forever indebted. Hence, when it comes to abdicating the woman who he is attracted to for the sake of his foster brother, he doesn't waste a moment before making the sacrifice. Even though he can gauge that Kavita (Rakhee) might be more keen to marry him, he owns up his murky past to dissuade her. But more importantly he implores her to marry Prashant because that would make him happy. But this is no man to harbour a wounded heart. He immediately jumps back into a happy state because his family is happy. He starts calling his sister-in-law sakhi and forges a unique bond with her... a bond of friendship, love and trust. That is why probably, no matter what, sakhi reaches out to him in times of distress. When he realises that his brother is setting out on a path of dishonesty, he expects his sakhi to show him the way, but he doesn't balk in the path of prosperity for the husband-wife and silently charts his own route. Here he doesn't let anyone understand his pain. He just is there always, for everyone. 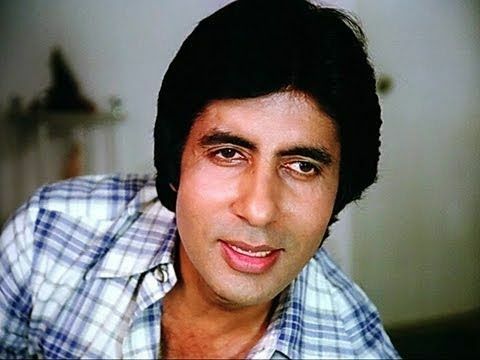 I remember seeing this movie when I was in college..long ago on my mother's insistence...though she is not much a fan of Amitabh...she said i loved the movie..and boy I was amazed..true this very much different from the usual hrishikesh mukherjee film's but it strikes a string. In between a good review.